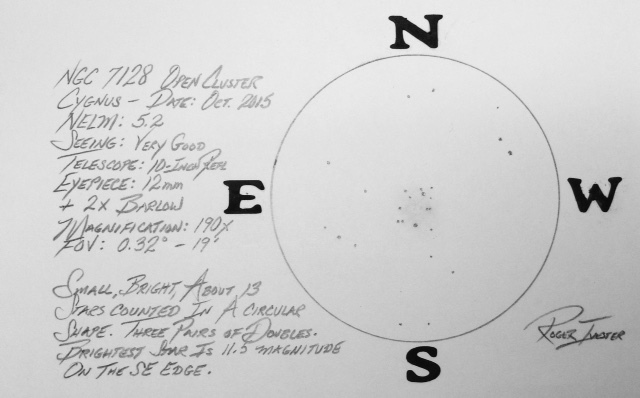 Easy to locate and see at low magnification, appearing as a small concentrated round hazy spot, with several bright stars on the outer edges. 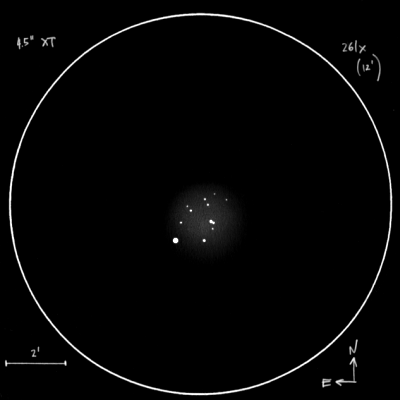 When increasing the magnification to 190x about 13 stars could be counted encircling a hazy central region of fainter stars. 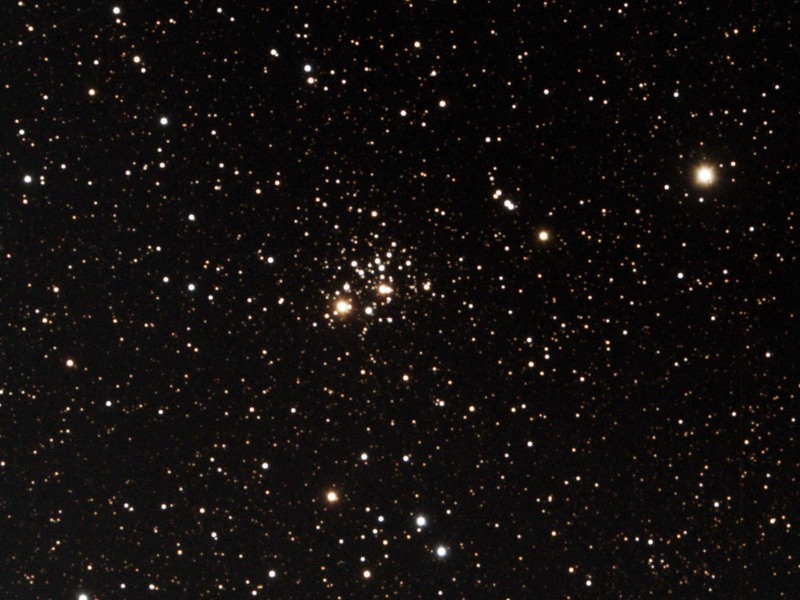 At the higher magnification the cluster became octagonal in shape. I could count three pair of doubles in the outer ring. The brightest star is magnitude 11 on the SSE tip. 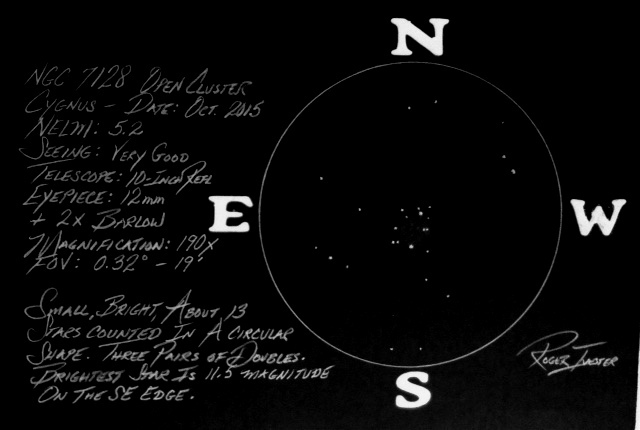 The cluster was much smaller than I remembered when I observed it last on 9-27-93, using the same telescope and from the same site. The following pencil sketch was made by Jaakko Saloranto of Finland, using a 4.5-inch Newtonian reflector @ 261x with a NELM of around 6.0. This entry was posted on October 24, 2015 at 2:02 pm and is filed under Work File Only - Observer's Challenge Reports. You can subscribe via RSS 2.0 feed to this post's comments. Both comments and pings are currently closed.